Where Reality & Fantasy Get Confused : #LonelyRoad What Is Master P. And Sonya Doing? No Limit is back with new music and a new branding. This time they're calling it "No Limit Forever" and all the past rappers are hopping on the mic. 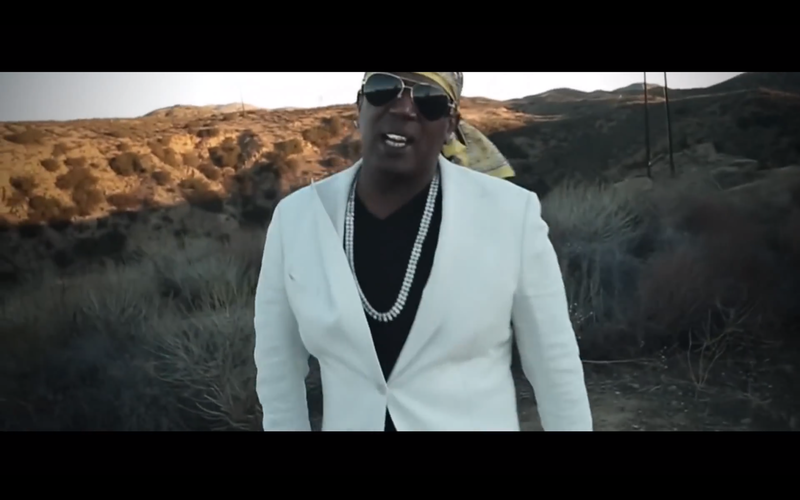 Even Master P. himself has released new music for us fulfill our ratchet hearts with. Although we first heard that Master P. was back after the popular California anthem "Like What" by Problem started playing across the country. At that point he had a mix tape called Famous Again out. He was even trying to mentor Chief Keef. That mentoring didn't go well. However, this isn't really about Master P.'s music. He has a new song out now called "Lonely Road," but it in the news over a messy divorce from his wife. He and Sonya Miller are childhood sweethearts. Within the Hip Hop industry, they are one of the longest lasting couples. However, something has gone wrong. There's controversy in the media. It started with the announcement of a divorce, but now it is getting messy. For instance, I was watching Wendy Williams and there are claims Sonja is on welfare and living with Lil Romeo. Now Romeo has money, so I don't understand how she would be getting welfare checks while living with him. Master P. snapped back with the statement listed below. Why is this news? I haven’t been with this person in over 7 years. She has had several boyfriends since then. I take great care of all of my kids, all of their needs are being met in an abundance. I come from the ghetto, I changed my life but she didn’t want to grow with me so were not together. If Sonya supposedly helped me start any of my companies including No Limit, wouldn’t she be capable of creating some type of income in the last seven years besides turning to welfare? Educated business people don’t think like that even in hard times. Stevie Wonder could see through this publicity stunt. This is hilarious. All I ask is that she take a drug test in the next two weeks and pass it. I will give her everything I have. The four minors she says she needs help with, three of them are with me, this makes no sense. I’m tired of sugarcoating and hiding the truth of ungrateful people that I’ve been taking care of for so many years. If she’s that great of a businesswoman like she claims, she should be able to do it again for herself. I don’t trip on my past success. Even through the rebuilding stages in my life, I never blamed anybody. I just figured it out and worked harder. I put my trust in God, not people. You can expect people to take shots at you but I never imagined the people you take care of to turn on you. I can see why wealthy people leave their money to charity because there are so many ungrateful, unappreciative family members that feel entitled even when they haven’t contributed. When things are going good, everybody loves you, but when things aren’t so good, you see the real in people and even in relationships. I’m not mad at her though. I’ll just pray for her, she will always be the mother of my children. I’m not perfect but I go above and beyond to provide for my kids and family. Did you know that they've been apart for seven years? I had no idea. I also don't believe Sonya is on welfare. No one in that family should be on welfare. They are all smart individuals who know how to make money. unless if on drugs. then that can be an issue. he was evasive but hinted towards it.